An incident has caused traffic delays on the M1 near junction 24 (Image: Highways England). 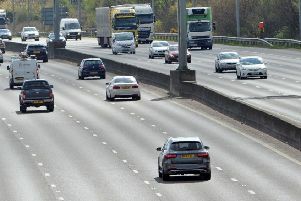 Rush hour traffic is slow on the M1 Northbound after an incident involving three cars. Lanes are slow to avoid the incident between junction 24 for Kegworth and 24a for Derby, with vehicles tailing back to junction 23a.